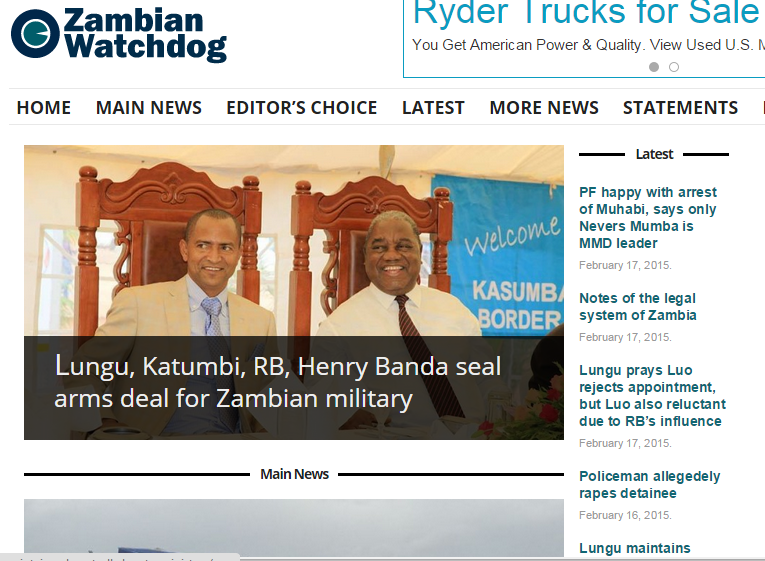 Popular investigative news site the Zambian Watchdog has allegedly been shut down by the Zambian government. Both the website and Facebook page have been inaccessible since September 21. On September 28, state agents armed with an AK47 rifles raided the Lusaka offices of web hosting company Hai Telecommunications in search of Zambian Watchdog servers. No official statement has been released by the authorities about the website's closure, and it is unclear whether the Facebook page was shuttered by the company or by its own administrators (perhaps at the government's behest). Zambia has no known record of asking Facebook to remove content from its network. The closure and the raid may represent a turning point in a long-standing cat-and-mouse game between the government and the controversial news website. The Watchdog, which includes Zambian journalists both in the US and abroad (many of whom write anonymously), has a reputation for hard-nosed investigative reporting and and for more sensational coverage of the news. The Watchdog has been a vocal critic of the ruling Patriotic Front party since it took power in 2011. With regular attempts by authorities to dismantle its online presence, the Watchdog website has been intermittently inaccessible in Zambia since 2012. The group has relied heavily on Facebook as a secondary platform for disseminating their stories and engaging debate among their readers. With the Facebook page now down, readers and even competitors have begun to worry that this may be a turning point for the embattled outlet. The most recent closures may be related to the Watchdog's coverage of the 2016 general elections. The site was supporting the main opposition politician, Hakainde Hichilema, of the United Party for National Development (UPND). Surrounding the 11 August elections, various media outlets were put under significant pressure by regulatory authorities. The Post, Zambia's largest independent daily newspaper, had their offices locked up and their printing equipment seized by the Zambia Revenue Authority (ZRA) because of outstanding taxes alleged to be at K68 million (US$6.1 million). Screen shot of Zambian Watchdog on February 12, 2015. After the elections, Zambia's Independent Broadcasting Authority (IBA) suspended the broadcasting licences of the country's largest independent TV station as well as two radio stations for “unprofessional conduct posing a risk to national peace and stability” before, during and after the 2016 elections. The suspension has since been lifted. We would like to inform you that none of the pages “Zambian Watchdog 1, Zambian Watchdog Two and the so called Zambian Original are a true replica of the Mighty and Famous Zambian Watchdog. Although all the three have been created by junior Zambian Watchdog Reporters…[they are] NOT being edited by Zambian Watchdog editors. People are hereby informed that the mighty Zambian Watchdog is yet to open a page. It is actually still closed. The site has maintained its Twitter account although there have been no updates since September 23. A visit to its domain name redirects visitors to GoDaddy, a web hosting company, showing that Zambian Watchdog domain is available for sale. What is happening to the internet-based news media outlet – the Zambian Watchdog? A few years ago, the Zambia Information and Communications Technology Authority, in the worst form of media censorship, blocked Zambians from accessing the Watchdog’s website. One can only view this website from outside Zambia. The Watchdog had to resort to Facebook to service its readers based in Zambia. Now, it seems even this will not be tolerated. The Zambian authorities are trying very hard to destabilise their presence on Facebook. Since the Patriotic Front (PF) took office in 2011, there have been routine attempts to muzzle citizen media websites such as the Zambian Watchdog and Zambia Reports. Both sites have been blocked within the country on multiple occasions. 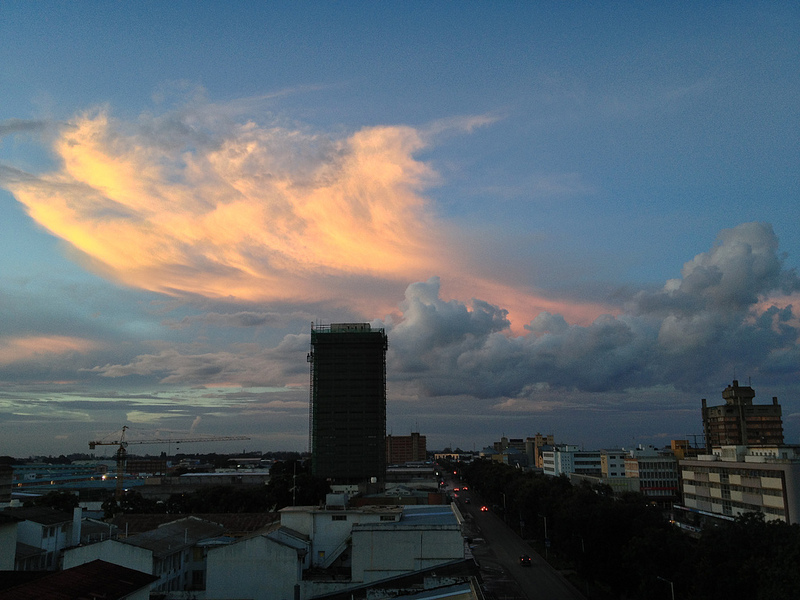 Zambia Reports, however, has since leaned towards the government. In 2014, former Information and Broadcasting Permanent Secretary Bert Mushala said that the government was drafting a law intended to address online media and tackle “Internet abuse” and cybercrime. He said certain online media and other publications spent their time insulting and spreading falsehoods at the expense of accurate, factual reporting and developmental issues. In the same year, former Zambia's Deputy Minister of Commerce, Trade and Industry, Miles Sampa, offered a US$2000 reward to anyone who can unmask the identity of people behind independent media website Zambian Watchdog for writing stories and printing pictures alleging infidelity against him. In a counter-offer, the Zambian Watchdog offered iPads and other tablets to people with what they call “credible information” on an alleged extra-marital romantic affair of the minister. 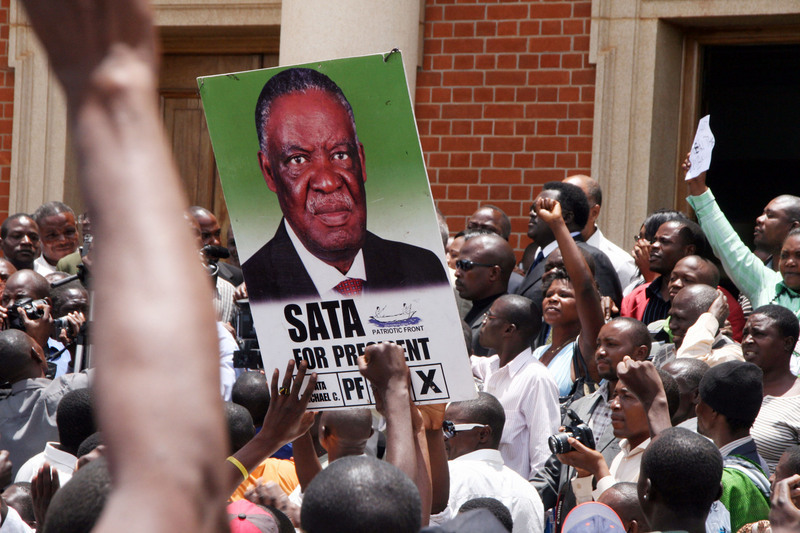 A journalist who was facing trial in a case linking him to the Zambian Watchdog, Thomas Zgambo, was beaten and threatened with death in 2014 by the son of Zambian President Michael Sata, Kazim Sata. Journalists Wilson Pondamali, Thomas Zgambo and media scholar Clayson Hamasaka have all faced various criminal charges since PF came to power for their connections to the Zambian Watchdog. In 2014, Zambian police force said they will employ “international legal provisions” to take into custody the operators of the website claiming that they were threatening the security of the state. This was after the website published a draft constitution that the government had written but neglected to release to the public.